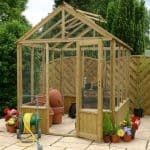 Boasting a large and impressive collection, Buy Sheds Direct certainly have a great choice of sheds, summerhouses, greenhouses and plenty of other garden structures as well. 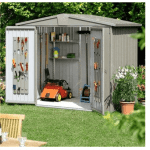 We have been looking at the various products, Buy Sheds Direct sell for quite some time now and today we are putting it all together in this Buy Sheds Direct review. We are going to have a look at the kinds of products that they have for sale. We are also going to have a look at what kind of prices they charge and even how user friendly the site is. Plus to make sure this is a fair review, we will be showing you the best places to check out actual, Buy Sheds Direct customer reviews. Buy Sheds Direct have had an online presence since 2005 and in these little over ten years they have built up a pretty good reputation. Part of what makes them a great retailer is the vast selection of garden structures and accessories that they have for people to purchase. Also Buy Sheds Direct are part of a much larger company who also provide things like log cabins, decking and fencing. From your first glance at the Buy Sheds Direct site, you can tell this is a retailer who wants to give you as much choice as possible. Honestly before we started this Buy Sheds Direct review, we were not actually sure how we could fit in all the products that they have, but here are a few of the highlights that make these guys such an impressive retailers. We will first of all have a look at their sheds. They have an incredible selection of sheds with metal, plastic and of course wooden. We really like how they have sheds in all different sizes so those of you who just want a little space to keep a few tools and perhaps the kids garden toys will find plenty of sheds that will work for you. At the same time those of you who want a shed where you can potter around and store more tools than your local, B&Q will find plenty of sheds that meet your needs also. Honestly their shed selection is one of the best that we have seen and we are sure that. Here is the part of our Buy Sheds Direct review where we are not just looking at how well made and good looking their products there are. But we are looking at the kinds of prices they are asking for their garden buildings. 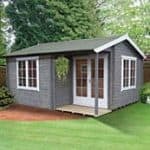 We are going to first have a look at the products that are clearly designed for those on a tight budget or those who just do not want to spend a ton of money on a shed or summerhouse. They have a decent amount of low priced sheds with many that are under £200. Some of these are pretty decent sizes as well such as their 6 X 4 Apex Dip Treated Security Overlap Shed which can be purchased for just under, £200. As well as this though they have a few smaller sheds that can be yours for not much over, £150. So if you are not wanting to spend a whole lot of money then Buy Sheds Direct as you can see do have plenty of lower priced sheds. One thing we will say is that these lower priced sheds are of course not going to be made from as high end materials as their higher end items. By the way it is not just sheds that they have budget priced options on either. Summerhouses, playhouses, greenhouses and pretty much everything else they have has some kind of budget option. 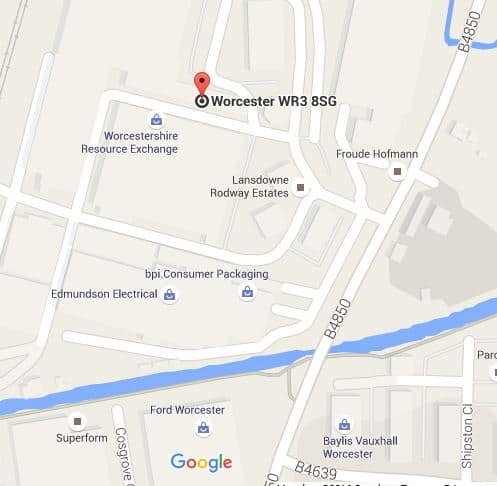 Our Buy Sheds Direct review is not just here to look at the more moderately priced products. We also want to tell you that those who have a lot of money to throw around or those who want to save up for a while to make sure they get the summerhouse, shed or greenhouse of their dream will be very happy as well. Buy Sheds Direct are not just a budget priced retailer. They have some truly incredible higher end items and this goes for all their products. Their summerhouses in particular have some amazing higher quality products such as their breathtaking 12 X 10 Fully Glazed Ultimate Pent Garden Room which is made with the finest materials, but as you would expect this is reflected in the price as it is, £4,009.00. As well as high end and budget priced products. But Sheds Direct also have regular sales and special offers. They always have some kind of deal going on that is listed on the homepage. This is usually some kind of sale or a special code that is going to save you a little bit of money when you checkout so please do not ignore this as it very well could save you some money. Here is the part of the Buy Sheds Direct review where we let you know just how user friendly their site is. When you first fire up the Buy Sheds Direct website, you will not feel overwhelmed. Some other garden building retailers tend to have their homepage be a little bit busy and it can put some people off. Buy Sheds Direct though keep things clean and simple. Sure there are plenty of products on the homepage, but the first thing you see will be what kind of offers or deals they have as well as a selection of tabs along the top of the screen that will make finding exactly what you want that little bit easier. We really like how they just have a few tabs on the homepage these are sheds, fencing, decking and log cabins. Now this may not sound like a lot, but clicking on the sheds one for example will then open up a whole new world to you where you can look at sheds, summerhouses, playhouses and other garden buildings. The way they do this is really smart and we are sure people will find it very easy to use. If you click on something, say metal sheds for example. You can actually click a few boxes so that you can specify what size of shed or what price range you are looking for. Or of course if you know exactly what you want just type it in the search box and save yourself some time. When it comes to the product descriptions again they are trying to make things as simple as possible. As a matter of fact the more we get into this Buy Sheds Direct review the more we are impressed with just how user friendly this site is. When you click on a product let’s take their 7 X 5 Pressure Treated Overlap Pent Shed for example. The first thing you see is a few pictures, some main things that make the shed great and the price. They make sure the first thing you see keeps it as simple as possible and from there you can then scroll down the page and learn more about the shed as they have the dimensions and a bit more of an in depth description. We feel that they do a fantastic job in letting people know exactly what it is they are looking at. There are some Buy Sheds Direct reviews on the site, but not for all their products. As is the case with most other garden building retailers. Buy Sheds Direct let customers score their products out of five stars. Some of the products you click on will give you’re their star rating right at the top of the screen so you will know that you can scroll down and then read a customer review. Not as many products have reviews as we would like and with the review section being near the bottom of the screen we do wonder if the reason there is so few reviews is because customers do not know they can leave a review. Some other retailers when you search for sheds will list all the sheds and from there you will see what the average star ranking is. That is not the case with Buy Sheds Direct. You will have to actually click on a product to see if any customers have reviewed it. What Are The People Saying About Buy Sheds Direct? Well we have shared with you our own Buy Sheds Direct review and now we are going to show you what actual Buy Sheds Direct customers have to say about their experience when they purchased a shed, summerhouse or whatever it was. 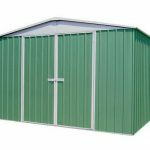 With Buy Sheds Direct having so many different products for sale, we actually thought that there would be far more customer reviews for Buy Sheds Direct floating around online, but actually there are not as many as you would think. 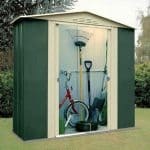 But we have still dug around and found some of the best sites when it comes to Buy Sheds Direct reviews and that is what we have listed just below. A few things to think about when you read these customer reviews are that first of all do not just read the 1 or 5 star reviews. Be sure to read all kinds of reviews this way you get a more impartial and balanced view of what they are like. Also and this does not excuse or brush over any bad reviews. But please remember that a person is always more likely to take the time to write a review when something has gone wrong rather than when things have gone smoothly. Trust Pilot: Without a doubt, Trust Pilot is the number one place you want to go to in order to see Buy Sheds Direct reviews. With over 1000 customer reviews, you will certainly have a lot of reading to do here and we find the site actually very easy to use as well. To start with let’s take a look at the positive. The 5 star reviews make up just under 60 percent of the overall reviews which is just incredible. Add into this the 20 percent of 4 star reviews and you have a retailer that has just over 80 percent of positive reviews. This actually makes Buy Sheds Direct one of the most positively reviews sites that we have seen. We like to be fair and to show you that we are also going to have a look at their negative reviews of which to be fair are not a huge amount of. 1 star reviews make up just five percent of overall reviews and even when you add in the 2 star reviews the total is just over 10 percent. Now most of the complaints that we read were about people having issues getting hold of someone at Buy Sheds Direct, especially if there was some kind of issue with their delivery to if a product was broken. We can just imagine how frustrating this must be for a customer. As of writing our own Buy Sheds Direct review a reviewer called, Kev Goulden has posted this about Buy Sheds Direct. “I went to the website and requested call back, 3 days later I still haven’t received a call” Now to be fair while this is not something we like to read about, Buy Sheds Direct have commented on this review and offered to help.Visit website and see reviews by clicking here. Twitter: You may be surprised to know this, but Twitter can actually be used for something other than stalking your favourite celebrity! While Twitter is not a review site and there is not actually what you would consider to be a Buy Sheds Direct customer review here. The main reason that we have put their Twitter page on this list is that you do sometimes get a good back and forth with Buy Sheds Direct and their customers. Of course most of the content posted on here is on the positive side so it is not exactly the most impartial view on Buy Sheds Direct, but we do really love seeing the way they communicate with customers, both new and alike. Visit website and see reviews by clicking here. Facebook Post To Page: Now please do not get excited and think Facebook have some new kind of site. What we mean by Posts To Page is that the Buy Sheds Direct Facebook page actually has far more customer comments and even Buy Sheds Direct reviews that many people may think. Now you can just scroll down their Facebook feed where you will see their latest deals and newest products and such. Sometimes a customer will post a random comment on here about a bad experience they have had, but honestly trying to read customer comments this way is a huge headache so we would not bother. 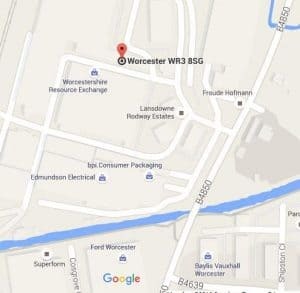 But located on the left is an area where you can click so that you just see all the customer comments. Here there is actually a decent amount of customer reviews and questions. We always find that no matter the retailer. When you look at their Facebook page, you are going to see either people asking questions or just negative comments after negative comments. Now while the negative comments some time will be people venting or even ranting before thinking it through. We like it how you can see the way Buy Sheds Direct either respond to a customer or just flat out ignore them. So like Twitter this is not what you would call a typical Buy Sheds Direct review, but it is still a good way to get a better idea of what kind of retailer they are. Visit website and see reviews by clicking here. Buy Sheds Direct are a retailer that to be truthful really do not have anything that makes us raise our eyebrows. A couple of the reviews did make mention of lazy or slightly salty delivery men who were not too friendly, but really we cannot put all the blame for that on the folks at Buy Sheds Direct. Apart from this the only other concern we have is that they might not have enough customer service support staff to handle all the calls, emails and social media questions and complaints that they may get. Of course no retailer is ever going to make every single customer that comes their way happy. But we do feel that by what we have seen ourselves and from the countless customer reviews that we have read. That Buy Sheds Direct do come as close as any other retailer to making as many customers happy as they possibly can. While this has been a very positive Buy Sheds Direct review and most of the Buy Sheds Direct customer reviews are also very positive. Here at WhatShed we still like to suggest the odd thing or two that a retailer can do in order to be even better. We did touch on this just before, but we feel that a few more staff who know what they are actually talking about would be a great addition to Buy Sheds Direct and get their positive reviews to increase even more. Perhaps having a bit more sympathy with customers when a delivery driver has been less than fantastic is also something else they could do, but we do understand how doing something like this would be difficult for them to actually do. Writing this Buy Sheds Direct reviews was a blast for us as they are a retailer who not only want to make sure that they have a fantastic amount of different products at all kinds of prices. They also are trying to make sure that a customer has as an easy a time possible using their site and also that they are as well informed as possible about the product they are buying. Really we are very impressed with what Buy Sheds Direct are offering and so are most of their customers judging by the reviews that are online. Our Buy Sheds Direct review is one of the most positive retailer reviews that we have done. But we are not done with Buy Sheds Direct yet. We will revisit them in the future to make sure that they are still impressive. 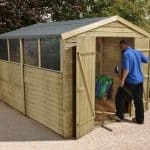 No matter if you are on a budget and want to get as much for your money as possible, or if you want something a little more impressive and fancy, Buy Sheds Direct are a retailer that will have something that at the very least will capture your attention.